The prime minister today told legislators they get three choices: approve the divorce agreement she has struck with the EU, vote to leave the bloc on March 29 without a deal, or ask the EU to delay Brexit by up to three months. 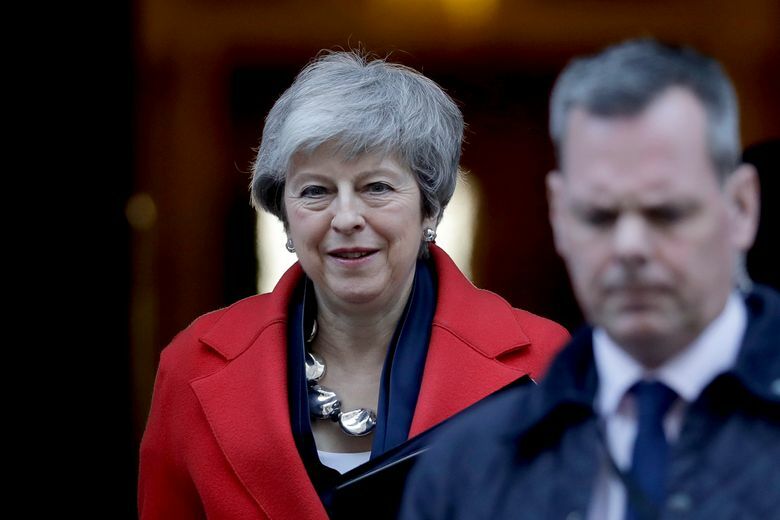 LONDON (AP) — Britain’s bumpy journey out of the European Union took a major turn Tuesday, as Prime Minister Theresa May handed the steering wheel to Parliament, giving lawmakers the power to slam on the brakes and divert Britain away from a disruptive and chaotic Brexit. 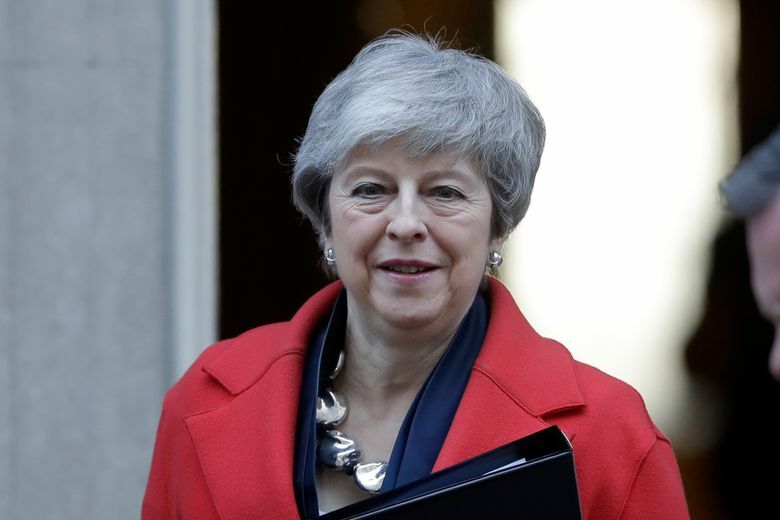 Bowing to pressure from within her own government to avert a damaging “no-deal” Brexit, May told legislators she would give them three choices: approve the divorce agreement she has struck with the EU, vote to leave the bloc on March 29 without a deal, or ask the EU to delay Brexit by up to three months. 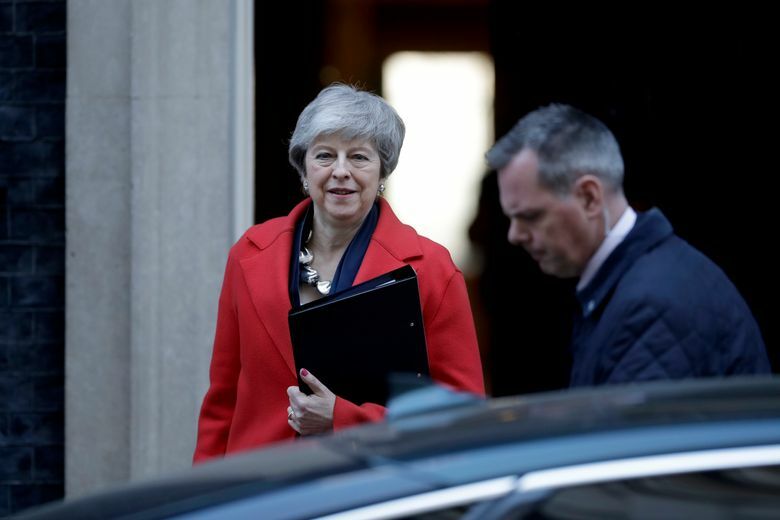 It is the first time she has conceded that Britain may not leave the EU on March 29, the date fixed two years ago and enshrined in U.K. law as departure day. 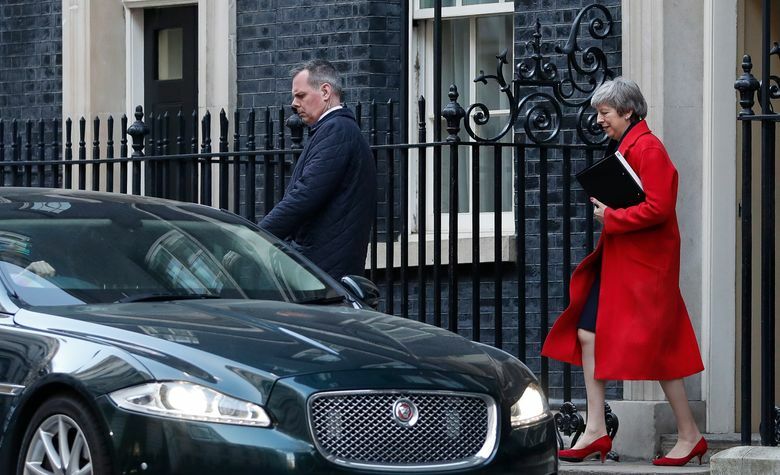 With that date just over a month away, the government has not been able to win parliamentary approval for its agreement with the EU on withdrawal terms and future relations. 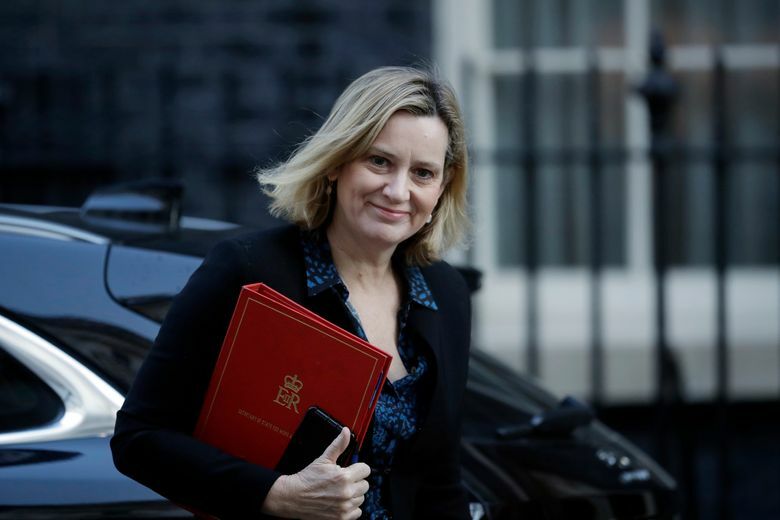 Anxiety over the standoff is intensifying since a chaotic “no-deal” Brexit could cause disruptions for businesses and people in both Britain and the 27 remaining EU countries. 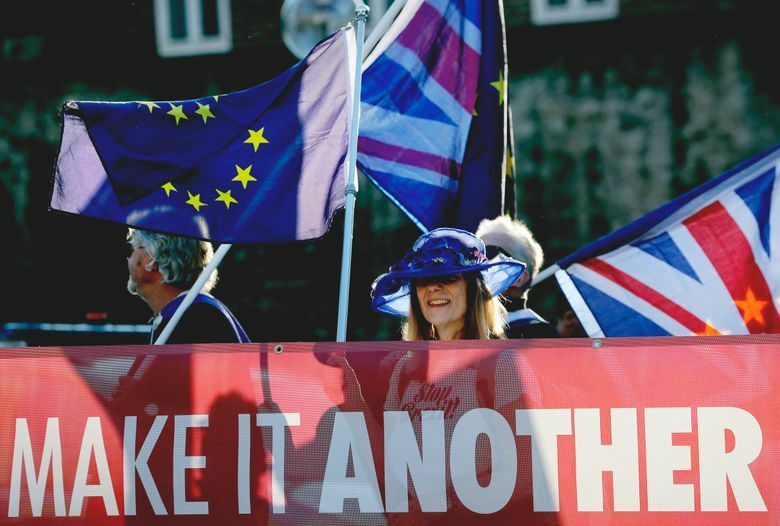 Because a majority of lawmakers opposes a “no-deal” Brexit, Parliament’s choice is effectively between backing May’s deal and postponing Britain’s departure from the EU. But her announcement angered pro-Brexit lawmakers. Pro-EU politicians, meanwhile, said May’s move did not go far enough. “A temporary extension does not rule out a no-deal Brexit; it merely moves the cliff-edge back a few weeks,” said anti-Brexit Conservative Dominic Grieve. Delaying Brexit would require approval from all 27 other EU countries. European Council President Donald Tusk said Monday the remaining members would “show maximum understanding and goodwill” to such a request. But some EU leaders say Britain must have a good reason for seeking the delay. Philippe Lamberts, an influential member of the European Parliament’s Brexit steering group, said a British request for an extension must be accompanied by “a credible plan for holding a people’s vote on the final deal that includes an option to remain” in the EU. 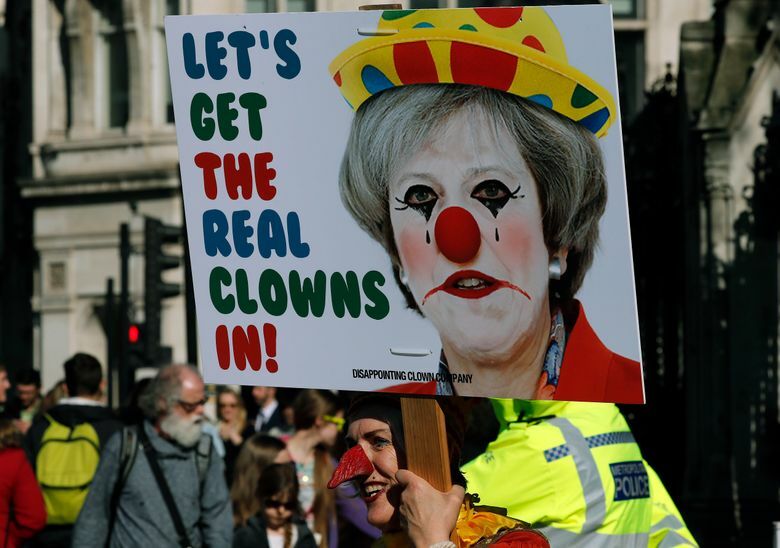 But British politics remains deadlocked over Brexit, with both May’s governing Conservatives and the main opposition Labour Party deeply split over whether to leave the bloc, and on what terms. The House of Commons rejected May’s deal with the EU last month — largely over concerns about a provision to guarantee an open border between the U.K.’s Northern Ireland and EU member Ireland — and sent May back to Brussels to get changes. A large group of lawmakers, from both government and opposition parties, says the only way out of the impasse is a new referendum on the terms of Britain’s EU departure. May insists she will never support a referendum that could overturn Britain’s 2016 decision to leave the EU. Labour leader Jeremy Corbyn said that if May’s deal was approved by Parliament, “we believe there must be a confirmatory public vote to see if people feel that’s what they voted for” in the 2016 EU membership referendum. But the idea of a new referendum is opposed by some Labour lawmakers in areas that voted to leave the bloc. “A second referendum doesn’t do that and the voters — in very, very large numbers — will not accept that,” he said.